I had the privilege yesterday to work with a very open young singer who was interested in developing his emotional range as a singer. I have worked with only a few singers, but it seems to me that Chekhov is ideal for them, and a few people who have had some serious opera training have told me that the use of imagery in Chekhov to create sensations, feelings and ways of being is very similar to much of their training, that they imagine colours, atmospheres, and the like to promote timbre and emotion in their work. I started musing when the young singer left on why it might be easier for musicians to access this way of working. I suppose the first thing is that a song is most definitely not ‘real’ . The singer still has to keep the tune and play the instrument, at the same time as accessing their imagination and their Higher Ego to find the feelings and character for the song. When someone is acting in a realistic scene there is a conflict for an actor trained in a more realistic school, because they fear that the use of atmosphere and image comes from the imagination and is not considered ‘real’. 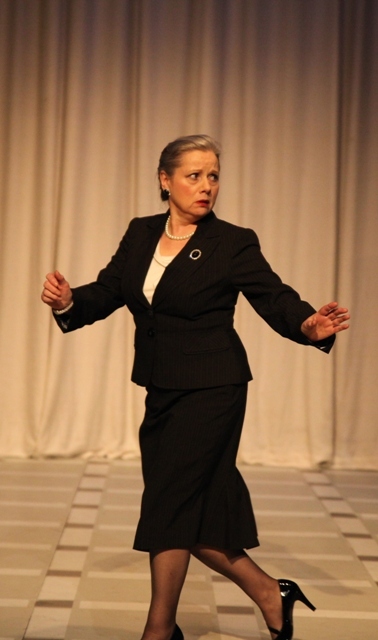 When the director or teacher starts talking about imaginary centres , atmospheres and gestures from which the actor gets the emotional juice, those who are not trained to explore a play or character like this can understandably be suspicious. One of Michael Chekhov’s great contributions to actor training was his exploration of atmosphere,this idea that there are atmospheres everywhere out there affecting us as people, that exist at events or in locations , in addition to our own personal atmosphere which we might be carrying . The idea that a play has a definite atmosphere is one that the realists fear because they worry it will make things all the same. This of course is simply not true. if you and I both surround ourselves with an atmosphere of sadness, and we are both asked to speak the line. ‘the Queen my lord is dead.’ and we have created our atmospheres authentically , we will speak with truth and emotion through that atmosphere in completely unique ways. Atmosphere is knit into all music. When you speak about an atmosphere to a musician they know exactly what you are talking about. In plays very often, atmosphere is something that the designers take care of, rather than this ‘oxygen of performance’ that Chekhov talks about . Another strong and concrete thing which is in the very fibre of music most obviously is what Chekhov calls a feeling of form. A beginning, middle and end. In plays and theatre pieces, there seems to be a kind of rebellion against form, as if succumbing to form is going to create an unacceptable happy ending, again, something that is not real. but form need not be like this as any singer will tell you. A feeling of form can be subtle and deep and surprising. The very formality and honesty that this song or piece of music IS a work of art, and everyone knows it is, frees the performing artist to use imagery, atrmosphere and the like , without fear. This entry was posted in Uncategorized and tagged Michael Chekhov, Music, Singing on April 29, 2014 by maxhafler. Some thoughts on a Winter’s Tale…. The key to the Winter’s Tale, Shakespeare’s apparently sprawling play , set like many others in both the city and the country, seems to be Time. Though Time has only one chorus which speaks of what has happened in the 16 year interim between Acts three and four it gives us a sense that things are turning from the bleak first three acts Into something more hopeful. Time is unstoppable, relentless, kills things off, but it also cauterises and soothes the pain of the past. Considering Chekhov’s sense of the Whole, i wonder whether there isn’t something unifying in this sense of Time for a production. Before Time’s Chorus, we have an extraordinary scene The clown has seen the death of a man torn to pieces by a bear, and watched a ship sink in a terrible storm. His Father, the Old Shepherd, has found an abandoned baby ….’Thou met’st with things dying, I with things newborn,’ he tells his son. This beautiful scene, indeed this very line, seems to be the pivot on which the play might balance. When we examine the play we realise that both the first and the fourth act begin with a person wishing to leave where they are and go home to meet their greater responsibility and continue their lives. Their Time is up. They know this and are trying to leave but somehow they are prevented by the need of someone close to them, who is selfish or unwilling to let go and let Time move on. Ironically the person trying to leave in act one and return to his kingdom, Polixenes, is the same man holding back Camillo from returning home in Act 4. Because the situation is not exactly parallel we tend to overlook it, but it is incredibly important. It suggests a skeleton on which to build. The fourth act is very long indeed, and there is no way we can attempt to create the kind of impact it was meant to have ( whatever that might BE exactly) because we live in a different context, with a completely different understanding of the rural idyll such as is presented in the play. How much the pastoral world is presented as a pastiche is sometimes hard to gauge but idealised it most certainly is in all the plays in which it is explored. Perhaps it is my imagination, but in The Winter’s Tale the idyll seems satirised in some way. But what exact polarity does this world of shepherds and shepherdesses exude, with the other extreme of the polarity being the court of Leontes? Of course there are some obvious choices….. But what might that polarity be? Interestingly , this play explores the feeling of guilt for terrible inappropriate action. Though this is not unique in Shakespeare’s plays, it seems to be a theme he seemed more concerned with in later years, and is something that I feel myself so human and worthy of exploration as i get older myself. The play gives a lot of stage time to the sense of regret and how hard it is to accept what you have done, when Leontes is becalmed and left to deal with his pain. Another key scene for me is the reconciliation between Perdita and Leontes, which we only hear about from the excited ( and to me quite hysterical ) trio of lords who observe what happens when the past is pieced together. It is interesting Shakespeare did not choose to present this scene, as if he was not interested in the immediate realistic response to this reconciliation, but the overall euphoric effect. This is borne out by the beautiful but strange ending. In the Footsbarn production of 1998 which came here to Galway, there was a wonderful moment when the family was left laughing with joy at the end of the play. It was incredibly moving. Of course there is no Mamilius nor Antigonus to step into the light to laugh with them.They are dead. This entry was posted in Uncategorized and tagged A Winter's Tale, Michael Chekhov, Shakespeare on April 27, 2014 by maxhafler. This has got to be one of my favourite quotes of all time . As Grusha the servant girl, in Brecht’s Caucasian Chalk Circle ponders whether to save the baby whose parents oppress her and all her kind, thereby risking her own life, the Narrator speaks those words. We have all had those feelings, when the Temptation comes to speak out against something that is wrong, or to take an action which you know is right but might compromise your career or your relationship. It must have been a question which often needed to be asked in Germany as Hitler came to power and the Second World War was raging, around the time the play was writtten. My first contact with the play was when I was 17 and I watched an amateur production at the Lowther pavilion in St Anne’s near Blackpool. I remember the production was very static, and ‘Chinese’,[ the play is based on a Chinese story], and something in me even then said this play needs to be alive and vital and desperate. Much of the story concerns a young girl running for her life. I have come across a number of productions that lacked this vital, accessible , adventure story element. They presumably lacked this vitality in an attempt to be ‘Brechtian’ which in some ways is a term I am still baffled by. It seems to be interpreted as a kind of distancing of the audience from the material when at the end of the day, Brecht’s plays are human, funny , brutal, and gutsy. My next contact with the play was when I was training at LAMDA. I played a massive range of roles , including A large female nurse, and I was the Singer for a portion of it. I remember the director, an amazing woman called Helena Kaut Hausen telling me that I had a feel for the material. Was it the sense of injustice in the story, or the sheer theatricality of it , or my own European genes that caused that, because I certainly felt it too, that affinity? But it was the play’s raw energy , theatricality and joy when I was performing it, that really won me over. In 1999 I was asked to direct a youth theatre project at Limerick and chose the play for it. At first the young people were afraid they could not handle the play . It was too big, there were all those foreign names, one minute it was a musical, next minute it was a rip roaring comedy, next minute it was a tragedy… An incredibly diverse group acquitted themselves well, and discovered that the play was exciting and political. It spoke to them. This was at a time when there was very little political drama in Ireland and I felt it very important that young people could see the theatre had this power, not just to express their own immediate concerns but concerns of a wider sort. A few years ago, I staged a reading of the play with eight professional actors. We rehearsed for three days only, and managed songs and limited movement . So much of the play leapt off the page even within these limited circumstances. If I was to do this play again what elements have I missed? One thing I do feel is that if a play has to say something about the times we live in then this one certainly does. The poor are exploited through poverty, through the media and on and on. If they have any say at all it is limited. They are tolerated to create wealth for the wealthy. Democracy as we have it, is at best something which gives some people a limited voice. When people take on the authorities, it is only in the most extraordinary circumstances of chaos that Justice wins through, or when highly principled whistle blowers, against all opposition, set their faces against the establishment. When you work with youth theatre and students, then somehow it is the theatricality and ensemble nature of the story which makes this such a powerful play to do, but the reality of the oppression the poor suffer in the play is often stylised,as if the play was some kind of fairy tale, and not some bloody messy tale about people trying to survive, laugh and get justice in a brutal, unjust and dangerous world. Intellectually at least, we know what the world is like because we see it on the news and the internet. Of course there is a view being expressed, but there is no doubt from the footage we see, that there is injustice, suffering, danger and poverty. We cannot kid ourselves. Chalk Circle is not really a fable. It is about the world as it is. This entry was posted in Uncategorized and tagged Bertolt Brecht, Caucasian Chalk Circle on April 23, 2014 by maxhafler. Shakespeare is a master of cross-gendered roles. After all, every female role was originally played by the other gender. As a process which was embedded within the law until the Restoration, it was accomodated by all. Of course it was a one way street, women could not play men! 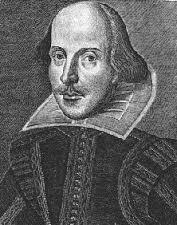 Shakespeare explored worlds of sexual and gender ambivalence and manipulated this convention to amazing advantage. However, he was also very conventional when it came to marrying people and sending them off into the happy beyond, fulfilled and alchemically transformed, as if marriage was the answer to it all. Interestingly when i google ‘actresses who played Shakesperean heroes’ i am confronted by women who played Hero in Much Ado, but I remember from my old theatre books that actresses took on roles like Hamlet in the early 20th century. I wonder what response the audience had to this ? Was it considered an amusement , or was it one of those acting ‘tests’ given to great or successful performers to play something different from themselves? The most interesting thing to consider is how it changes the world of the play. When we made Escalus a powerful woman politician/barrister and Pompey a drag queen ( I am sure that has been done, but then everything has probably been done in Shakespeare ) in our production of MEASURE, I felt it pushed the play more into the present, and created many modern resonances, hardly changing a single line. It gave the act of closing the brothels a much wider and more modern contact. Anyone who was outside the conventional world could be thrown into prison by the Duke’s repressive law. Furthermore, the overlooking of Escalus for a promising young upstart like Angelo has many resonances for underrepresented female politicians. These changes of gender expanded the play’s concerns without distubing something fundamental about it. However, for me , changing the gender of a character can sometimes limit a play within the constraints of that decision. In other words the play can become a curiosity. The change of gender ends up being the total focus of the production. I have seen a few productions where this has happened. This is not a criticism, because it may have been the reason for doing the production in the first place. It is a result but it can also be seen as a gimmick, something which cannot serve the play as it is. For me, when you change the gender of a character, I think the strategy should be that you really ask yourself, ‘ if this male character was a woman [or vice versa] and said these lines then what would she be like? What journey would she be on?” and really pursue that as far as you can go. I felt these questions were not asked in Julie Taymor’s movie of THE TEMPEST , with the usually fantastic Helen Mirren as Prospera, playing the role, I felt, as a man. I was awaiting this fabulous witch like being , and got a rather surprisingly conventional portrayal. I wanted to see an unleashing of fresh understanding in the power of this role and felt I got much of the same as I would have got with a reasonable male actor. Maybe some people would say, well isn’t that the point? But for me, it isn’t. For me, gender does matter, and like all innovations to an old piece, it has to be carried through. Recently I have been considering characters in King Lear . Which characters, given the text and nature of the relationships could be changed from male to female? Lear himself would be a possibility. But what about Kent, for instance? I truly toyed with this for a while, but no matter what lines were cut , Kent felt like an intrinsically male character. His behaviour with Lear , particularly when in his disguise, was very macho and gruff. What was I thinking of? Gloucester on the other hand might be a candidate. Her reasoning for keeping Edmund away from court would have been understandable in order to preserve her reputation. Any guilt she might have felt for keeping him in the shadows might prove a powerful energy to her gullibility in the plot that Edmund hatches. This journey is attractive and feasible. there is a whole accessible logic there, with a minimum of script alteration. This entry was posted in Uncategorized and tagged Gender, Shakespeare on April 15, 2014 by maxhafler. Never Merry when I hear sweet music…. JESSICA I am never merry when I hear sweet music. LORENZO The reasons are your spirits are attentive. Having just seen a production of MERCHANT OF VENICE, I have to ask whether this is an acceptable play for school students or for those of us living in a pluralist democracy, even though our society is every bit as materialist as the world in Shakespeare’s drama. I feel these days that there is absolutely no point in doing a play if it does not have something enlightening to share with us about the time and circumstances in which we live. So what can this play possibly be saying to us? After a discussion with my co-conspirator Tony Hegarty this morning, he opined that the play is not about prejudice, but about the question of value; the value of money, of vows, of love, duty and faith. It’s an attractive argument. What the play is not about, primarily, is prejudice. That fact however does not prevent the play being racist and anti semitic. If indeed the play IS about values, then the final lines, and arguments about the test of the rings, have strong resonance. They have a ‘feeling of the whole’, to quote Chekhov, The final line is about the emotional value of the ring itself. – But the truth is, that for an audience in the present day , the focus is on the central conflict between Shylock and Antonio, and the racial conflict so all engulfing, that these other matters are inevitably diminished. It seems to me that it does not matter how viciously a theatre company embodies the society around Shylock , it neither justifies his behaviour towards Antonio, nor prevents him from being seen as a black-hearted villain. No sooner has the play begun than Shylock’s servant , the likeable clown, and Jessica , his daughter, are itching to escape him , and so we the audience, are encouraged to abandon Shylock too. He is clearly a bad and dangerous man. Even some of the more sympathetic speeches of Shylock, do not really get any sympathy because he appears more concerned about the loss of his jewels, than his daughter. Even worse, his obsession with his bond and his overwhelming desire for murderous revenge can make his choices understandable to an audience but not sympathetic. Shylock’s punishment is harsh, considering he is not even being examined by a real lawyer, and most particularly the fact that he is made to convert. It is worth considering however that in the time it was written, most of the audience may well have seen this as a compassionate move to save Shylock from eternal damnation, instead of a stripping of his identity. They would also have a good understanding of this converting for the law’s sake as it was a part of the social fabric in the religious ferment that was the Elizabethan period. Ultimately though we have to consider what is the impression this play gives to us now in 2014? The message about Jews , along with the cheap laughs at the expense of the Princes of Morocco and Aragon, can only be interpreted as incredibly negative against all those of different colours and faiths. The final picture is of the self-satisfied happiness of the quartet of Christian lovers who end the play reconciled, dancing off to their young privileged lives. A big problem with the racist taste in this play rests in the structural fact that Shylock does not appear in Act V. Many of Shakespeare’s ‘outsider’ characters, most notably Lucio in MEASURE FOR MEASURE, and Malvolio in 12th NIGHT, have their powerful moments in the fifth act of their respective dramas, which makes an audience question the apparently happy and resolved outcomes of the main plot. In Act V of THE MERCHANT , Shylock is gone. The bitter sweet issue of the rings is all that seems to be left to be resolved. The villain is gone and punished and we as the audience can relax into the comedy. The key to making some kind of reconciliation for a modern audience I believe, lies in the playing not only of Shylock but of Lorenzo and Jessica. Jessica is an absolutely pivotal character in the way issues of race and religious intolerance are explored in the play. She is very underwritten of course, but what strikes me is that Jessica may not be happy in her relationship, nor with her impulsive decision. The powerful moment where Tubal relates to Shylock how Jessica is selling the jewels she has taken, conjures up an image of a young couple on the run with no money ,visiting a pawnbroker, sitting in front of him, and bartering. Where is Lorenzo’s money? Is he penniless? So the couple ends up at Belmont, impoverished, seeking the patronage of Portia. It is not original to make Jessica pivotal in the final act, and make us question her decision in the play and the punishment meted on her father, despite the fact she has not one line after Portia returns, but what I am saying is that this would probably be the only palatable choice for me were I directing this play. Rather like Isabella in MEASURE who does not answer the Duke when he asks to marry her, Jessica says little about her father’s plight. In the opening of Act 5 during Jessica and Lorenzo’s scene, they name pairs of lovers, who all have met with tragedy. There is a deep dissatisfaction and sadness running through this opening scene, a section which culminates with the sublime speech about the music of the spheres, as Lorenzo tries to comfort her with a universal concept of harmony. People like Jessica who change their faith for expediency pay the price, because they are always outsiders in the world in which they seek to be a part. When Portia and the others return, that prejudiced world comes back on the stage and Lorenzo and Jessica slide back into the shadows. For me it is essential that we see her unease in some fundamental way, that her presence reminds us of the prejudice that she and her ‘tribe’ endure. This entry was posted in Uncategorized and tagged Merchant of Venice, Shakespeare, Tony Hegarty on April 10, 2014 by maxhafler. Musings whilst learning to operate a DSLR camera. 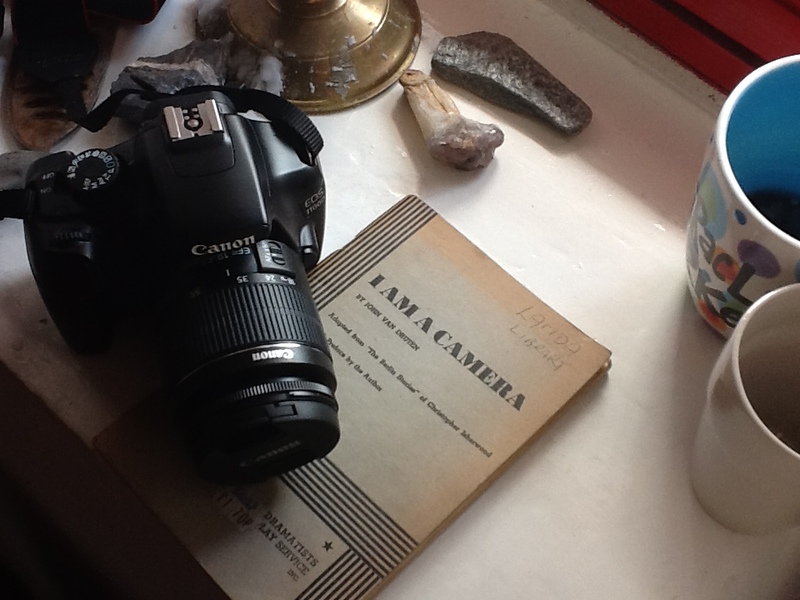 I am a Camera is the title of a play by John van Druten based on the Berlin books by Christopher Isherwood. It metamorphosed further into Cabaret, the musical, which metamorphosed further into Cabaret , the movie. It was my final show at drama school, I played the Isherwood character, who did not seem to bear much resemblance to the man I read about in the biography , Christopher and His Kind , and who was changed again in the musical, and given a different name . It was a play based on a book, which was based on ‘real life’ experience, then moulded and metamorphosed into various forms of art. Layers upon layers of ‘reality’. As I muse on the intricacies of learning my first proper ‘grown up camera’ and wondering why I keep wanting to just put it down and reach for the iPad ,I consider what I am wearing. A waistcoat my father bought me. My father was a professional theatrical photographer , and took amazing photographs of famous people in the fifties and sixties , people ranging from the Goons to the Aga Khan. They were usually moody black and white studio shots with cross lighting . They were not ‘real’ but they were evocative and told us something about the performer , something magical which you could not articulate. This magic was often performed on me when I was small especially in a series of shots taken at my second birthday party, which I still have. I can smell the cake and feel the textures of the toys when I look at those pictures now. The atmosphere just oozes from them. My first camera was a Kodak Instamatic 100. The first mass produced camera that absolutely anyone could use. The main quality of this camera was in its name. It was instant. Ease and instant gratification. Except it was not really instant because the film still had to be sent to Boots to be developed. I was incredibly proud of this device which eventually produced small square prints . The camera was crude and basic, but I learned a little about shutter speed and some very basic camera skills. Unfortunately my parents had divorced so my dad was not around to give advice. The size of the small square pictures makes me feel now like I am peering down a tunnel into the past. Things are hard to discern or get any kind of atmosphere from. They are principally black and white which I love, but they have no depth, either literally or metaphorically. they may be ‘real’ but they are not real. There is a wonderful speech in FIVE KINDS OF SILENCE by Shelagh Stephenson, where a young woman whose family background is horrific describes a snapshot from her childhood which completely masked how she was really feeling. I was given a picture recently where I was about 12 and riding on a donkey at the seaside. I hated it and was scared, but I am grinning with delight on the picture. I looked at my younger self intently to see if I could see any fleck of fear in my face, but it was not to be seen. Yet for me, it was the fear that was real , not the smile. I feel that in some ways we have paid for pursuing photography with ease and instant gratification, even worse with the Polaroid, and of course, the smartphones. We sacrifice – literally – the depth of the image, and I became very aware of this the other day when I took a few shots with my new camera . Two of the photographs I took of my birthday party made me gasp with their richness. They were truly atmospheric , rich in colour and depth and reminded me that to find depth takes a degree of dedication to studying the camera and becoming proficient .Furthermore, it reminded me that ‘reality’ is not flat, but has a density and texture which goes far beyond anything instant. It is mysterious. It should be there in any artistic work. This entry was posted in Uncategorized on April 7, 2014 by maxhafler.